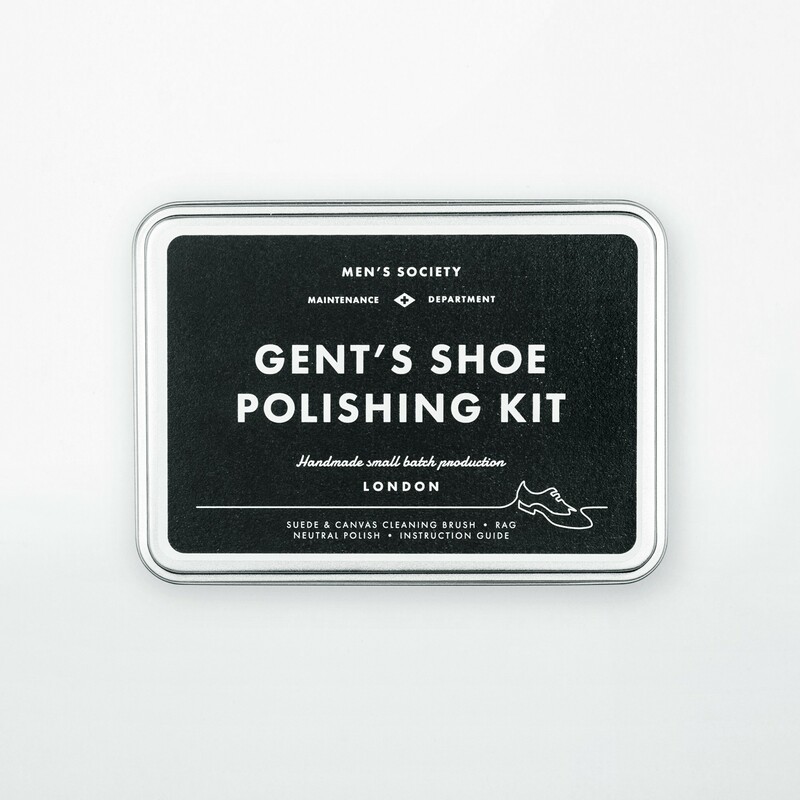 This set is the perfect gift for a real gentleman. 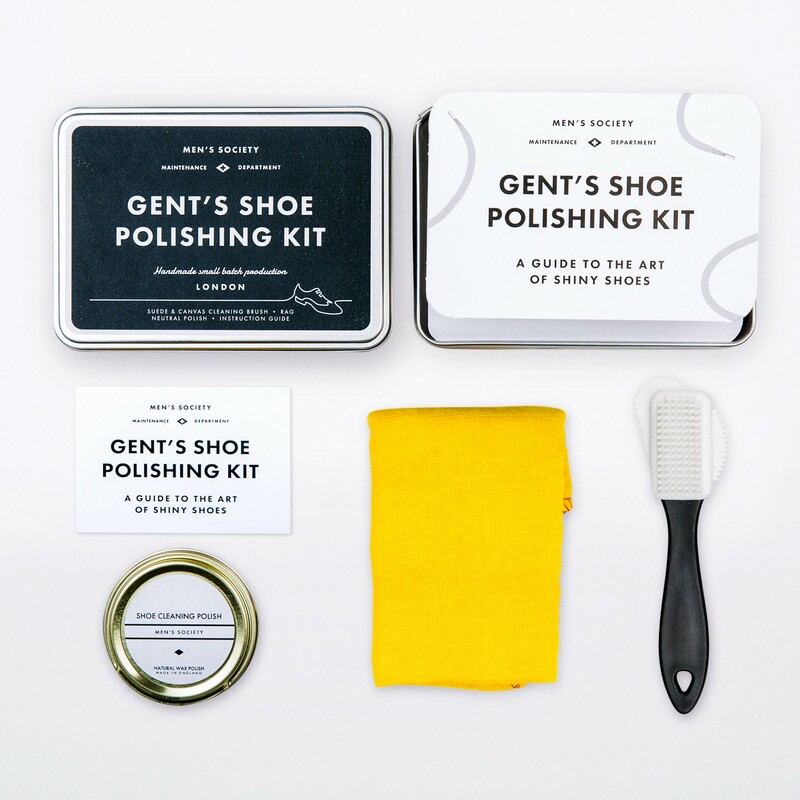 The tin can contains a shoe brush, 50 g of natural wax and a cotton polishing rag. 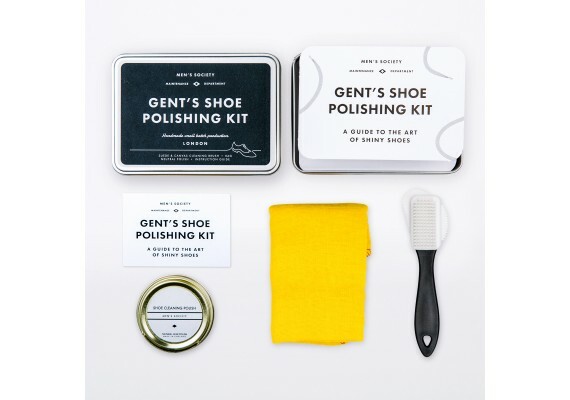 A nice gift for father's day or just like that (as a subtle hint).